Latham aluminium access covers and liners offer many benefits over similar products fabricated from steel or cast iron. 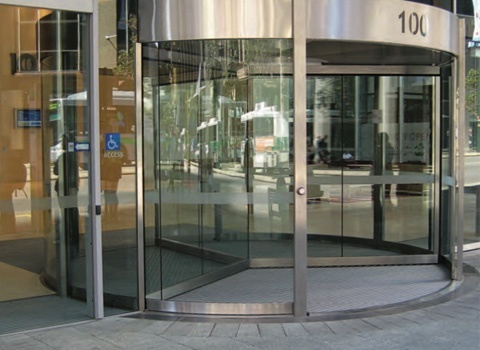 They are lightweight, corrosion resistant, economical, and provide an attractive modern appearance. Latham Access Covers offer yet another alternative to floor access and drainage. Access covers can be specified with the same plates that are available for trench covers. Where wide covers are required, or heavier loads are expected, Type S, Type A, and Type T are available with stainless steel covers. When specified, block ends can be supplied. 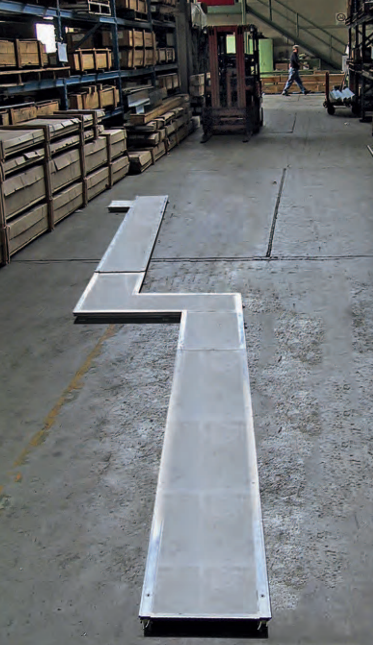 Aluminium access covers and frames can be supplied with optional trench liners to simplify installation and offer improved performance. Covers include vinyl seals which cushion against rattles and serve as a moisture/fume barrier. Contact Latham Australia for acceptable load limits if required. Standard cover plate in mill finish aluminium or stainless steel. Asbra SAF-T in a black colour provides slip resistance. Raised tread provides increased traction and safety. Holes allow for drainage and ventilation. 12mm holes, 50mm x 50mm centres. Holes allow for drainage and ventilation. 12mm x 75mm slots, 50mm O.C. in width. 125mm O.C. in length. Thin floor finishes can be installed with 3mm recess for improved appearance. 250mm x 250mm, 300mm x 300mm, 350mm x 350mm, 400mm x 400m, 500mm x 500mm, 600mm x 600mm (For overall dimensions add 62mm). 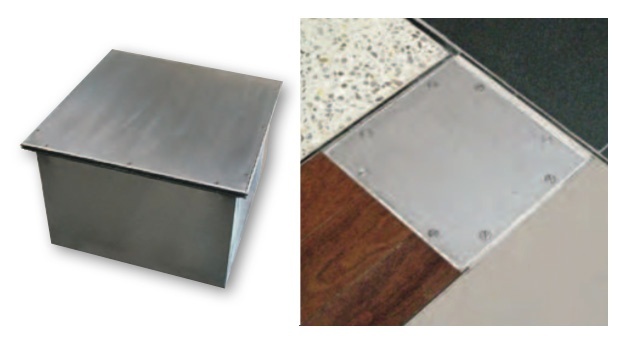 Latham Aluminium and Stainless Steel Access Covers, Trench Covers and Liners offer many benefits over similar products fabricated from cast-iron and steel. 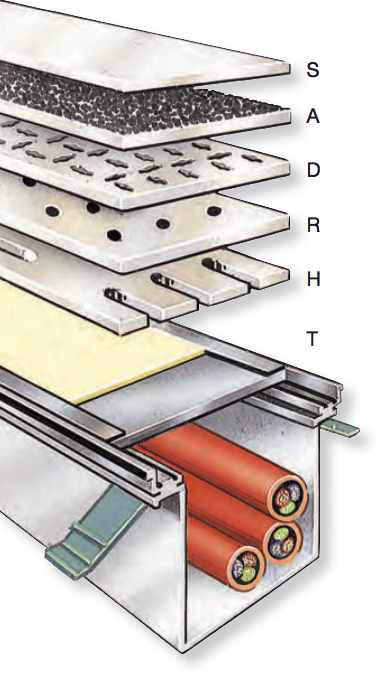 The aluminium cover plates are lightweight, corrosion resistant and attractive. Optional trench liners simplify installation and offer improved performance. The systems can be cast-in place or set into a preformed recess. All covers include vinyl seals which cushion against rattle and serve as moisture/fume barrier. Latham are aware of the complex layouts for floor services that are required particularly in medical and scientific buildings and are able to work with architects and engineers to address these complex designs, offering a system specifically designed to meet the requirements of the project. Smooth plate, with visible fixings.  This product is designed to be the finished visual surface. It is not designed to have a floor covering over the top of it. The cover plate can be supplied in aluminium or 304 grade Stainless Steel in thickness of 6mm, 9mm and 12mm. Abrasive coated plate offers the ultimate in slip resistance for wet areas, inclines, or anywhere that slipping may be an issue. The cover plate can be supplied in aluminium or 304 grade Stainless Steel in thickness of 6mm, 9mm and 12mm. Then coated with Latham SAF-T Slip Resistant Surface Coating (Colours Black, Grey, Terracotta, Safety Yellow or Off White). Diamond Tread, aluminium checker plate. Provides increased traction and safety. Available in 6mm aluminium only. Round Holed plate allows for ventilation and drainage, with holes 12mm diameter at approximately 50mm x 50mm centres. The cover plate can be supplied in aluminium or 304 grade Stainless Steel in thickness of 6mm, 9mm and 12mm. 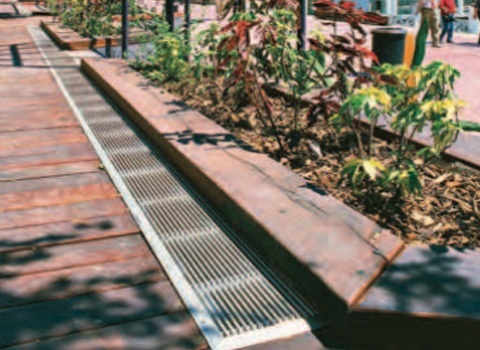 Slotted Holed plate allows for ventilation and drainage, with holes 12mm x 75mm slots at approximately 50mm centres in width and 125mm centres in length. The cover plate can be supplied in aluminium or 304 grade Stainless Steel in thickness of 6mm, 9mm and 12mm. Vinyl Tile recessed plate allows for a 3mm vinyl tile insert, to match the surrounding floor finish. The edge strips of the cover plate allow fast and easy access to the pit without having to remove or cause damage to the vinyl floor finish. The cover plate can be supplied in aluminium or 304 grade Stainless Steel in thickness of 6mm and 9mm. Where required 22 Gauge Galvabond is used. 150mm, 200mm, 300mm, 400mm, 500mm, 600mm (Specify A), for the overall width of the trench and frame, add 62mm for Trench and Access Cover types S, A, D, R, H, T & C. For the overall width of type P Trench and Access Covers add 100mm. Note these widths are the approximate frames sizes not the complete width of the trench or access cover with the fixing mechanisms. Furnish and install in accordance with manufacturers installation details and industry practice, Type S - Smooth plate access cover, with *[6mm / 9mm / 12mm] thick *[Aluminium / Stainless Steel] cover plate, to accommodate a access hole size of (A).........mm x (B).........mm, as required per plans and specifications. Furnish and install in accordance with manufacturers installation details and industry practice, Type A - Slip Resistant Abrasive Coated *[Black / Grey / Terracotta / Safety Yellow] colour cover plate access cover, with *[6mm / 9mm / 12mm] thick *[Aluminium / Stainless Steel] cover plate, to accommodate a access hole size of (A).........mm x (B).........mm, as required per plans and specifications. Furnish and install in accordance with manufacturers installation details and industry practice, Type D - Diamond Tread plate access cover, with 6mm thick Aluminium cover plate, to accommodate a access hole size of (A).........mm x (B).........mm, as required per plans and specifications. Furnish and install in accordance with manufacturers installation details and industry practice, Type R - Round Hole plate ac- cess cover, with *[6mm / 9mm / 12mm] thick *[Aluminium / Stainless Steel] cover plate, to accommodate a access hole size of (A).........mm x (B).........mm, as required per plans and specifications. Furnish and install in accordance with manufacturers installation details and industry practice, Type H - Slotted Hole plate ac- cess cover, with *[6mm / 9mm / 12mm] thick *[Aluminium / Stainless Steel] cover plate, to accommodate a access hole size of (A).........mm x (B).........mm, as required per plans and specifications. Furnish and install in accordance with manufacturers installation details and industry practice, Type T - Vinyl inlay plate access cover, with *[6mm / 9mm] thick *[Aluminium / Stainless Steel] cover plate, to accommodate a access hole size of (A).........mm x (B).........mm, as required per plans and specifications. The cover plate to include 3mm thick aluminium recess bars to create a well for the inlay and allow accessible fixings. Furnish and install in accordance with manufacturers installation details and industry practice, Type C - Carpet inlay plate access cover, with 6mm thick *[Aluminium / Stainless Steel] cover plate, to accommodate a access hole size of (A).........mm x (B)......... mm, as required per plans and specifications. The cover plate to include 6mm thick aluminium recess bars to create a well for the inlay and allow accessible fixings. Furnish and install in accordance with manufacturers installation details and industry practice, Type P - Paving inlay plate ac- cess cover, with *[6mm / 9mm / 12mm] thick *[Aluminium / Stainless Steel] cover plate, to accommodate a access hole size of (A).........mm x (B).........mm, as required per plans and specifications. Furnish and install in accordance with manufacturers installation details and industry practice, Type S - Smooth plate trench cov- ers, with *[6mm / 9mm / 12mm] thick *[Aluminium / Stainless Steel] cover plate, the trench width shall be .........mm, as required per plans and specifications. Furnish and install in accordance with manufacturers installation details and industry practice, Type A - Slip Resistant Abrasive Coated *[Black / Grey / Terracotta / Safety Yellow] colour cover plate trench covers, with *[6mm / 9mm / 12mm] thick *[Aluminium / Stainless Steel] cover plate, the trench width shall be .........mm, as required per plans and specifications. Furnish and install in accordance with manufacturers installation details and industry practice, Type D - Diamond Tread plate ac- cess cover, with 6mm thick Aluminium cover plate, the trench width shall be .........mm, as required per plans and specifications. Furnish and install in accordance with manufacturers installation details and industry practice, Type R - Round Hole plate trench covers, with *[6mm / 9mm / 12mm] thick *[Aluminium / Stainless Steel] cover plate, the trench width shall be.........mm, as re- quired per plans and specifications. Furnish and install in accordance with manufacturers installation details and industry practice, Type H - Slotted Hole plate trench covers, with *[6mm / 9mm / 12mm] thick *[Aluminium / Stainless Steel] cover plate, the trench width shall be.........mm, as re- quired per plans and specifications. Furnish and install in accordance with manufacturers installation details and industry practice, Type T - Vinyl inlay plate trench covers, with *[6mm / 9mm] thick *[Aluminium / Stainless Steel] cover plate, trench width shall be .........mm, as required per plans and specifications. The cover plate to include 3mm thick aluminium recess bars to create a well for the inlay and allow ac- cessible fixings. Furnish and install in accordance with manufacturers installation details and industry practice, Type C - Carpet inlay plate trench covers, with 6mm thick *[Aluminium / Stainless Steel] cover plate, the trench width shall be .........mm, as required per plans and specifications. The cover plate to include 6mm thick aluminium recess bars to create a well for the inlay and allow accessible fixings. Furnish and install in accordance with manufacturers installation details and industry practice, Type P - Paving inlay plate trench covers, with *[6mm / 9mm / 12mm] thick *[Aluminium / Stainless Steel] cover plate, the trench width shall be .........mm, as required per plans and specifications. Furnish and install in accordance with manufacturers installation details and industry practice, 22 gauge galvabond trench liners. Liners should have an overall depth of .........mm below finished floor height to suit the for specified. End closures should be clearly marked on each drawing layout detail and , as required per plans and specifications.